Being a tourist destination, there is a lot of hospitality and generosity stored in Dubai to welcome investors and encourage them in setting up a business in the world’s largest cosmopolitan community. The overall population of Dubai has only 20% of local inhabitants. A local Arab seems to be an outsider in his own country. This is the vision of Dubai. There are no boundaries and it welcomes strangers. All potential business owners are invited by Dubai to prove their metal. However, recently, a lot of businessmen are complaining of visa rejection. This is not because Dubai wants to limitize itself or is looking to make boundaries. The fact is that a lot of people are either not aware, or allegedly don’t follow the prescribed procedure of investor’s visa by Dubai’s Government. The directorate has made some changes to the previous procedure in order to streamline the process of visa, especially for investors. 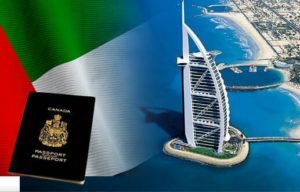 Currently, United Arab Emirates has diplomatic understandings with some countries and their nationals are not required to have an advanced visa arrangement to enter the United Arab Emirates. They can obtain the visa on arrival for at least 90 days, however; visa extension is not allowed, also their passport should be normal and must be valid for at least six months. Apart from the members of the Gulf Corporation Council, people of 47 other countries can get a visa on arrival in the Emirates. People from above mentioned nationalities can arrive in Emirates freely anytime and then apply visa for whichever purpose they have landed. Remaining countries nationals have to fulfill the following conditions to be eligible to get an investor’s visa. Other than the religious reasons head coverings of any kind are unacceptable. Only original documentation will be accepted by the authority. The Visa processing time is 15 days minimum. During the processing of your visa application, the passport has to remain with the embassy of UAE. Fees must be paid upon submission of your visa application and in cash only. For rejected visa applications fee is non-refundable. The above are the minimum requirements for Dubai business visa. You may be asked for additional proof or documentation based on your application. There are lots of myths about sponsorship requirements, especially for investor’s visa. It depends upon the jurisdiction in which you are doing business. If you are an owner of a free trade company zone, the UAE free trade zones become your visa sponsor. This visa will be called as a UAE investor’s visa. Your partner in the UAE’s Limited Liability Company or professional company can also get an investor visa. The good option for investors is to get a temporary residence visa; it is valid for three years and is best if you have business anywhere in UAE. In some cases, you may need to deposit some money as security to the government agencies in order to get an investor visa or partner visa in UAE. There are a lot of other technicalities in Visa processing, like if you have started a business, how to get visa for your employees? The solution to this is that you choose a reliable agency for your documents and visa processing. Our agency “Riz and Mona” is a registered service provider for all kinds of business and investor visa. We are authorized by General Directorate of Residency and Forgiven affairs and Ministry of Labor for visa and business consultancy across UAE. Our team has special agents with visa expertise and is renowned for providing speedy services to its clients. We remain up to date if there is any change in policy and also keep our clients aware of that. Feel free to contact us any time for any query; we are always here to help you out.